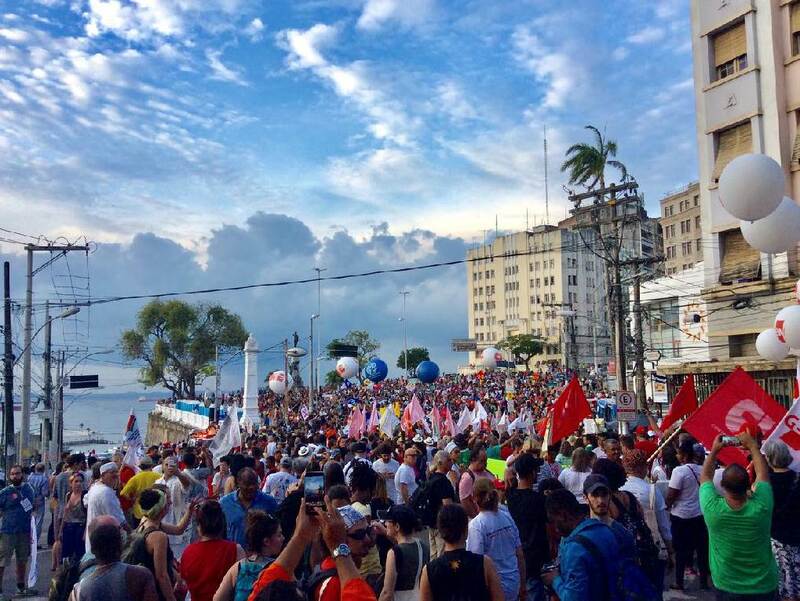 The 2018 World Social Forum (WSF) took place in Salvador, Bahia, Brazil. It was well attended. More than 80.000 people from around the world participated in it, including the Comboni Network. Fr. Daniele Moschetti, MMCJ shares with us about the Comboni Missionaries Network participation in the Forum. Our Comboni Social Forum in Salvador Bahia was inserted into the World Social Forum which had as its central theme the “resistance” in this particular neoliberal society across the world. The title was: “To resist is to create, to resist is to transform”. Very clear words and also stimulating for all of us in the Comboni family. We live these values and attitudes to 360 degrees both geographically but also humanly and spiritually and involvement in its fullness with the peoples to whom we are sent and we want to serve. 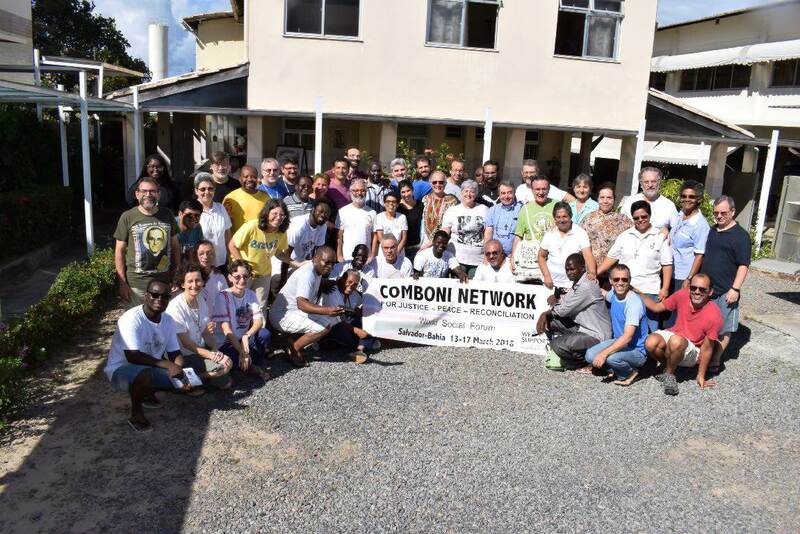 The title of our 3 days of Comboni forum was: “Ministry and networking/collaboration in the Comboni family and with other organizations”. Let me explain with 10 simple words what we lived in the Comboni Forum and what we would like to share with the Comboni family and the world. HOPE/JOY: it was and is the attitude and values that we lived in sharing together this missionary experience of encounter between us and civil society throughout the world and of the Afro-Brazilian descendants of which was filled the city of Salvador da Bahia. A city where you can feel the wind and spirit of Africa….. 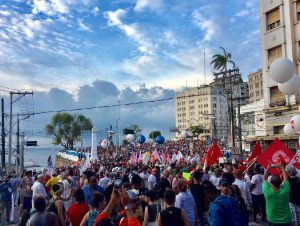 DESIRE: a nice feeling and full of human and spiritual openness to what was proposed by the World Social Forum meetings and the life of the people, the party atmosphere and serenity among the peoples of the world who met in a positive and proactive way. PATH: we looked back on our path of growth as Comboni family at the World Social Forum. It was our eighth meeting that we lived together as one institution. A journey of 11 years that has helped to grow as family, spiritually and humanly hundreds of missionaries, males and females, scattered in various provinces of the world in the struggle of building peace, justice and integrity of creation. Certainly a fidelity to the charism and the desire always to fight for a better world and different of what the “powerful people” of the Mother Earth propose to us. DREAM UNDER CONSTRUCTION: starting from this dream under construction that we continue to live this event in communion. Carrying out commitments and targets on JPIC we live already in our daily and personal lives, families, our missions, Christian communities and society. A feeling strengthened and encouraged to live more deeply into communion with the struggles of the peoples of the world! 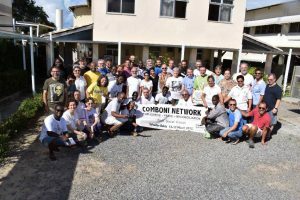 COMBONI FAMILY: is an event where the spirit of the Comboni family was always lived to the full with mutual enrichment and concrete. There should be more of these simple but engaging opportunities for our Institutes! INCREASED PRESENCE: it was a common feeling that the beauty of the missionary commitment and family spirit has to be more present. With more people in the world social forum presenting our experiences and values to the world. But also to give opportunities to other Comboni brothers, sisters and lay people from the missions to participate more actively presenting the struggles of the people, their sufferings and resistances. LAY PEOPLE: certainly there was more presence of our Comboni laity than ever before. And I think the future will be more and more in their hands, in their commitments and sharing their love for the mission and for St. Daniel Comboni. A greater openness to their presence for a mutual enrichment and work together. NEW PARADIGMS: this is the challenge of today and the future! Knowing how to read the reality around us and the signs of the times is so complex and difficult with new paradigms, interpretations and vision of the worldwide mission. Attentive to the human and social, economic and religious reality in order to give our contribution to the Kingdom of God, the Church, the changing mission. To leads us living as missionaries in an increasingly complex and hard times and situations everywhere. Even a search for a methodology that can make us think, and reorient for the future of the Comboni family and mission. MISSIONARY FORMATION: higher availability, care and responsibility on the part of the Comboni Family addressed to those religious candidates in basic formation, to our young people and formators, for those who want to know the commitments for Justice, peace and integrity of creation that we all live at the side of the people and the poor in our missions spread all over the world. Testimonies of life that help to understand the mechanisms and the challenges of the present and the future of our mission. But in order to have points of reference for their future mission and live their vocation to the full when in the future they will be called to live it.